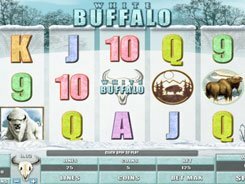 The action in this 5-reel slot takes place in a snowy Russian Siberia where tigers and bears fight for dominance. The symbols are a snowflake, a dry leaf, a bear, a tiger as well as playing card icons that seem to be made of snow. 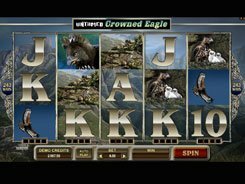 Before a spin, you can adjust the following wagering options: a coin value ($0.01 to $0.2), the number of coins per line (1 to 5), and the number of active win lines (up to 25). Thus you can place a bet anywhere between $0.01 and $25. 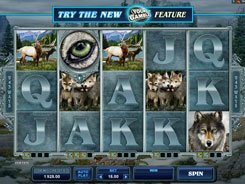 The slot features a wild, a scatter, and two bonus games. A wild substitutes for other basic symbols and doubles payouts, yet it does not form its own winning combos. A scatter depicted by the slot’s logo awards up to $1250 for five of a kind. Three or more scatters landed in any place trigger the Siberian Standoff bonus game. If this happens, you are prompted to select an animal who you think will win the battle. 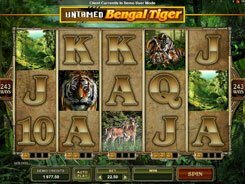 If the tiger wins, you will get 8 free spins. 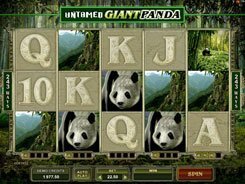 If the bear wins, you will unlock the Bear Claw Picks feature where you have to pick bear paw traces to reveal cash awards.